Food is more than just nourishment. It is pleasure, culture, and comfort. But our relationship with food can also become dysfunctional and deeply conflicted. Eating is one of life’s great joys, so it’s easy to overdo it. But society sends a lot of mixed messages about where to draw the line. We have easy access to any culinary indulgence, yet we’re also bombarded with the ultra-thin beauty ideal at every turn—and a multibillion dollar weight loss industry eager to help us attain it. For over 30 years, psychotherapist and eating disorder expert Karen R. Koenig has taught people how to make peace with food in this confusing environment. After yo-yoing from world-class binge eater to chronic dieter, Koenig found her balance, and it stuck. “I could eat a whole apple pie and a box of doughnuts, but I just think about food so differently now,” she said. A big step in forming healthy eating habits is to become more mindful of your appetite. We’re a distracted society, says Koenig, and many of us have lost touch with basic senses like hunger and fullness. “It’s about relearning what most of us are born with: eating when we’re hungry, choosing foods that satisfy us, and paying attention when we’re eating,” she said. Tuning into the senses can be especially difficult when our physical hunger masks an emotional void. For some, food serves as insulation from the outside world. In her latest book, “Hunger: A Memoir of (My) Body,” author Roxane Gay traces the beginning of her overeating to when she was gang raped at 12 years old. Gay, who at one point weighed 577 pounds, saw eating as protection. We’re quick to judge an overweight body for a lack of self-control, but we often miss the deeper story. In Koenig’s 2009 book “Nice Girls Finish Fat,” she describes a pattern in many of the overeaters she’s worked with: They are selfless to a fault. Food just happens to be the only pleasure they allow themselves. It’s hard to talk about food these days without the discussion turning quickly toward weight. But Koenig is one of a growing number of eating disorder experts who want to de-emphasize the weight talk and instead get people to focus on health and self-care. “Weight loss itself is not a great motivator for long-term, sustainable eating change, because if we lose or don’t lose the weight, we’re always focused on that rather than the beginning of the process: what we think about food and how we act around it,” Koenig said. It’s a message that doctors usually don’t have the time or training to deliver properly. They see an overweight patient, so their natural inclination is to immediately push them toward weight loss. But Koenig says this strategy can often have physical and psychological consequences. Her latest book, “Helping Patients Outsmart Overeating,” calls on health care providers to use a gentler approach for the sake of long-term success. Considering the world’s ever-worsening obesity epidemic, this strategy may not seem tough enough. But Koenig says the weight-centric deprivation approach that has dominated the last few decades has only hurt our bodies and eating habits. One glaring example is the popular weight loss competition show “The Biggest Loser.” Contestants lose an amazing amount of weight in a short period through a brutal regimen of diet and exercise. But a 2016 study from the National Institutes of Health found that once the show ended, 13 of the 14 contestants studied had gained much of the weight back. Four were heavier than when they started. The study also found that the rapid weight loss had slowed the contestants’ metabolisms to a crawl—even slower than when they started the show—which meant their post-show binging made them fat even faster. The one thing that reliably affects everyone’s weight for the worse is dieting. It’s a pattern that Dr. Traci Mann, a psychologist at the University of Minnesota, has noticed for years. For over two decades, Mann has run a research laboratory investigating eating habits. In her book “Secrets from the Eating Lab,” she explains why diets don’t work and how damaging they can be. While the prevailing notion is that weight loss is as simple as burning more calories than you consume, reality can be much more complicated. Mann reports that how much we eat doesn’t have nearly as much bearing on our weight as do other factors, such as heredity and hormones. Many of Mann’s studies reveal that people’s bodies react very differently from one another in regard to food and exercise. In her book, she points to evidence we’ve all seen in real life: skinny people who can eat anything and stay skinny, and fat people who eat moderately and stay active yet still stay fat. However, the one thing that reliably affects everyone’s weight for the worse is dieting. Not only does it slow your metabolism, it changes your hormones, making you feel hungry more often, while needing more food to feel full. 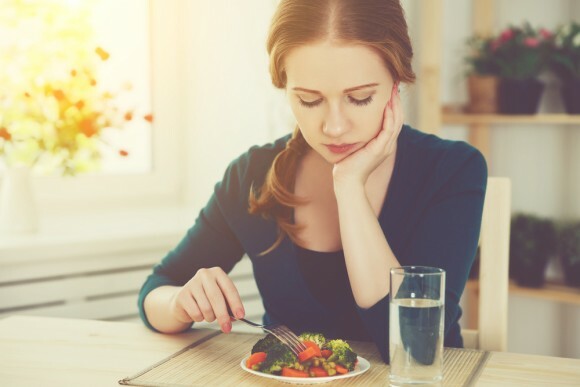 Dieting also changes your brain, making it more preoccupied with forbidden foods and connecting them to a stronger reward response, which makes them more addictive. These biological reactions to food deprivation serve as a survival mechanism during times of scarcity. But it can feel like a cruel joke to anyone who has drastically cut calories to stay slim because they pay a heavy price when they slip up. If you sacrifice so much only to end up larger a few years later, why bother? Despite the research, “The Biggest Loser” creator J.D. Roth believes that mindset, not metabolism, is the greatest obstacle to keeping a fit physique. His latest reality show, “The Big Fat Truth,” invites former “Biggest Loser” contestants to re-lose the weight they gained back. The program highlights “bad” behaviors and mentalities that implicitly led to their downfall. The new format gives more attention to psychology and health, but it’s clear that a slender figure is still the ultimate goal. Koenig agrees that a change in mindset is essential for changing eating habits, but she insists that willpower is not the force we should rely on. Instead of willpower, Koenig encourages a change in mindset through positive self-care—things like balancing work and play, getting enough sleep, choosing people in your life you can depend on, letting go of the past, and being hopeful for the future. The idea is that if you live consciously with your best interest in mind, you’re less likely to fill the void with recreational eating. “If there was never such a thing as food, what would you do when you felt the blues, or if you wanted excitement in your life? You would have to find other ways,” she said. The cultural pressure to lose weight can be overwhelming and our desire for quick results can be hard to rein in, but the body likes consistency, so trading one extreme for another is likely to backfire. That’s why, for sustainable weight loss, most experts call for a course that is slow and steady. We may also have to lower our expectations for the outcome, as well as speed. One of the problems Mann sees in our quest for a better body is that the perfect ideal we’re aiming for is often out of our “biologically set range”—the weight at which our body naturally wants to be. If we work hard enough, we can whittle down to our ideal, but the maintenance required is probably more time and energy than we’re able to devote in the long term. Koenig says that if we put awareness and well-being at the heart of eating, we naturally choose more healthful foods and eat less overall. With the right mindset, taking care of our body can be an activity we cherish, rather than a chore we dread. Weight loss is not the goal, but it can become a sustainable side effect. “All these small changes make a larger change possible,” Koenig said.